The station was slated to become part of a museum. BEISEKER, Alta. — A piece of southern Alberta’s history has been damaged by fire. Crews were called in early Friday morning to the old Bassano train station in Beiseker. 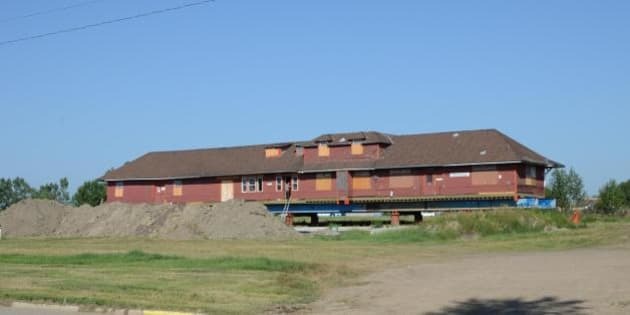 The building was moved to the community a few years ago to become a part of the Alberta Centennial Railway Museum, which has a few train cars on-site already. Beiseker Mayor Ray Courtman says the south end of the building has collapsed but the fire department managed to save the north end. Courtman says the building was vacant at the time, as restoration efforts were still being planned.